Aveeno & Johnson’s Baby Products for Free with moneymaker! October 15, 2018 4:35 pm By Lori Post contains sponsored/affiliate links and I get commissions for purchases made from links. As an Amazon Associate I earn from qualifying purchases. For all the moms with newborns and babies, we all know that your baby’s skin gets really sensitive. We spend so much money on everything from diapers, bath products, baby care etc. Today you can worry about one less expense by getting Johnsons & Aveeno Baby products absolutely free. I personally love Aveeno Baby lotions, it smells so good and my baby’s skin is extra soft. Treat yourself and your aby to Free Baby Aveeno & Johnson’s products! CVS is always having spectacular deals. They currently have a $3/ $12 of baby products special coupon waiting at the coupon center for you. You can earn $10 ECB for spending $20, and these are B1G1 50% off which sweetens the deal. When you buy the new Johnson’s Cotton Touch variety, there is also an ibotta rebate you can redeem with a limit of 5, and an Aveeno Baby product ibotta deposit with a limit of 3. So stock up as much as you want, but here is how you can Baby Aveeno and Johnsons products for free! Everything Free + $1.79 Money maker! October 9, 2018 2:55 pm By Lori Post contains sponsored/affiliate links and I get commissions for purchases made from links. As an Amazon Associate I earn from qualifying purchases. Covergirl has been my favorite makeup brand since I first started putting on make-up. I absolutely love their gel eyeliners for that perfectly lined look as well as their Perfect Slice mascara! I always stock up on my beauty favorites from Cover Girl. Today we got awesome CoverGirl coupons to save you on some Covergirl beauty products for you! I can’t wait to use mine! 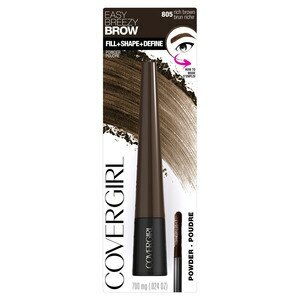 Coupons.com has got you covered for three new Covergirl coupons worth $6 in total! Stock up on your beauty favorites from Cover Girl. These coupons have no limits. Redeem as many as you want before they all expire on 11/4/2018. Splurge on all your CoverGirl favorites at CVS until the ending date. This deal gets sweeter because CVS is offering $6 ECBs when you spend $15 on CoverGirl Cosmetics (limit 1) which will save you so much on with the coupons for Covergirl beauty products! Download these $6 worth of CoverGirl coupons today! Rimmel Eye Cosmetics for $1.29 each! October 8, 2018 3:51 pm By Lori Post contains sponsored/affiliate links and I get commissions for purchases made from links. As an Amazon Associate I earn from qualifying purchases. Rimell is by far my go-to for eye make-up! I’m totally obsessed with their Exxagerate liner. Luckily, we got a cool coupon for all the Rimell cosmetics lovers out there! Get this Rimell eye cosmetics coupon today! Today you can $4 ECB at your local CVS when you spend $10 on Rimmel Cosmetics. Plus, we got a Rimmel Eye Product coupon for you to make this deal extra sweet. With this Rimmel Eye product coupon and $4 ECB, here is how you can get Rimmel eye cosmetics for $1.29 each!